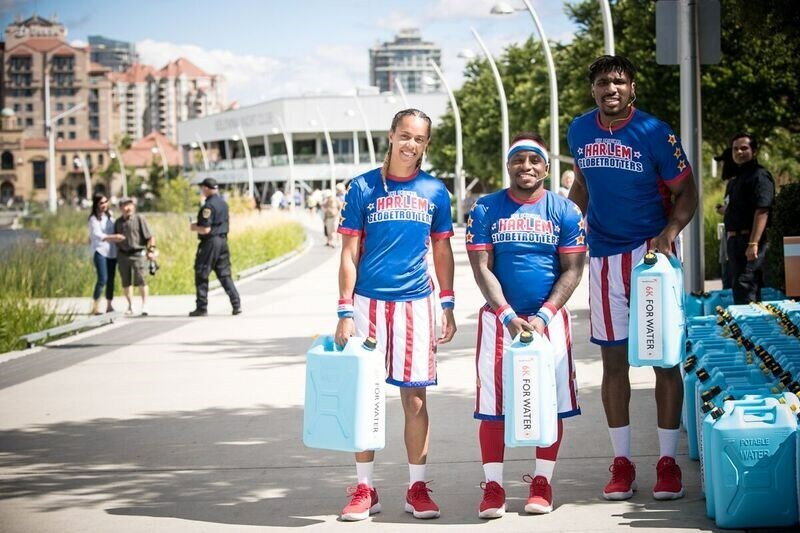 Members of the Harlem Globetrotters, who recently returned from Mozambique where they saw for themselves the impact of World Vision's water projects, were on hand July 7 as 250 participants either walked, ran or wheeled the Kelowna 6K for Water. Six kilometers is the average distance kids in Africa have to walk to collect useable water, every day. "We were thrilled to have the Globetrotters at this year's event. Since 2014, we have had the honour of partnering with the team, which has led to thousands of children being sponsored. Today, we gathered together at Kelowna's beautiful waterfront, partnering as a community with those facing the challenges of finding fresh, clean water," World Vision Canada's President and CEO, Michael Messenger, said. Thanks to Kelowna and the #LoveCanKelowna event, thousands more children will now have access to safe water. Participants had a chance to see for themselves the hardships families in developing countries face collecting water when they were invited to carry a jerry can for the last kilometer of their walk. The experience was powerful as participants felt the weight of ensuring children around the world have access to clean, life-giving water. "World Vision is reaching one new person with clean water every 10 seconds and reaches three more schools every day with clean water. The impact of fresh water on a community extends beyond drinking water, it does so much more in terms of farming, keeping kids in school and helping entire communities stay healthier," Messenger said. The event not only gave Kelowna residents an opportunity to give back, but it was also an opportunity to show their love for the event. Deputy Mayor Mohini Singh kicked off the event declaring July 7, World Vision Canada Love Can Kelowna 6K Walk for Water Day.